The government of Djibouti made a shock announcement in February that it was canceling its contract with Dubai’s DP World, and was seizing control of Djibouti’s strategic port at the entrance to the Red Sea, the Doraleh Container Terminal. DP World called the move an illegal seizure of the terminal and said it had begun arbitration proceedings before the London Court of International Arbitration, but even if DP World wins the case, they will receive monetary compensation, but they will still lose control of the port. 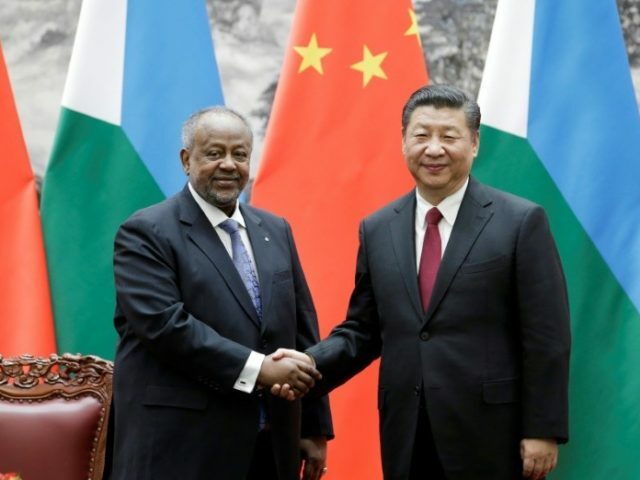 On Tuesday of last week, Djibouti signed a deal with Singapore-based Pacific International Lines (PIL), a company that works with China Merchants Port Holdings. Although this does not give China control of the port, it’s a step in that direction. 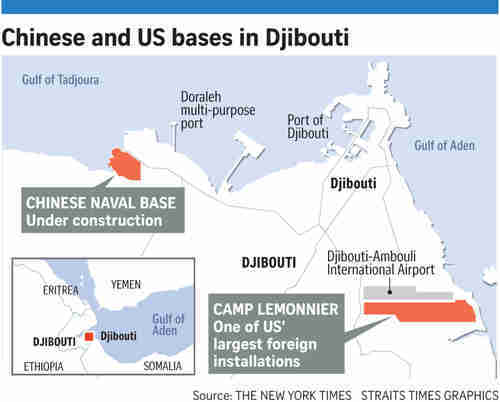 Djibouti is home to the only permanent US military installation in Africa. But last year, China opened its first overseas naval base there too, provided loans to the country, and built a railway connecting the seaport to the Ethiopian capital to improve regional trade. The US has provided millions of dollars in aid for counter-terrorism efforts in countries like Ethiopia, Djibouti, Kenya, Chad, and Nigeria, to fight terrorist groups like al-Shabaab or Boko Haram. China’s policies are quite different. China does not provide aid. It provides high-interest rate loans to the country to build infrastructure, then provides Chinese workers which the country has to hire to build the infrastructure. The country that receives this kind of “aid” then must pay the salaries of all the Chinese workers, and must also repay the loan, including the high interest. China then extract’s the country’s resources, and no local jobs are created, and almost no benefit goes to the country. If the country is unable to make those payments, then China takes possession of the seaport or other infrastructure, in lieu of payment, and also establishes a community of Chinese workers in the country – a community which will be there forever. We have already described what happened with Sri Lanka, when China invested $1.2 billion in Sri Lanka’s Hambantota seaport in 2009. The plan was that revenue generated by the seaport would be used to repay the Chinese, and the surplus would bring wealth and happiness to all Sri Lankans. It did not turn out that way, and the project turned out to be a “debt trap.” Sri Lanka could not repay the loan, and now China has taken control the seaport and the surrounding area. It has been a disaster for Sri Lanka. The United States pursues, develops sustainable growth that bolsters institutions, strengthens rule of law, and builds the capacity of African countries to stand on their own two feet. We partner with African countries by incentivizing good governance to meet long term security and development goals. This stands in stark contrast to China’s approach, which encourages dependency using opaque contracts, predatory loan practices, and corrupt deals that mire nations in debt and undercut their sovereignty, denying them their long-term, self-sustaining growth. Chinese investment does have the potential to address Africa’s infrastructure gap, but its approach has led to mounting debt and few, if any, jobs in most countries. When coupled with the political and fiscal pressure, this endangers Africa’s natural resources and its long-term economic political stability.